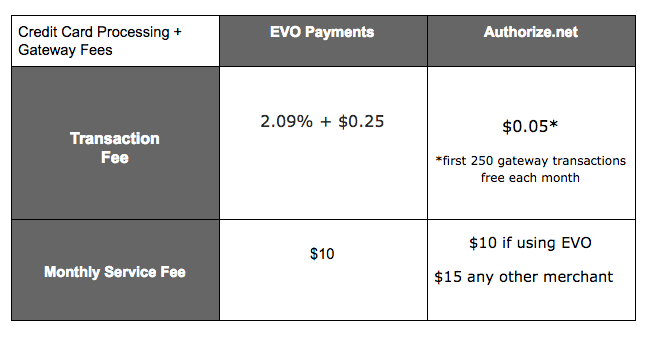 Farmigo Basics > Payment Methods > Which electronic payment method is recommended? Which electronic payment method is recommended? Click here to learn more about non-electronic payment methods as well. If you are trying to decide between using PayPal or accepting credit card payments directly, you will want to consider the cost of each service based on your volume of payments and the member's experience with each interface. Below, we want to provide you with some insight about each of these options. You are welcome to use any merchant services processor that configures with the Authorize.net gateway, but we are going to use EVO as our example in this analysis. Another variable to consider when choosing between PayPal or a credit card processor is the ease of use for members within the Farmigo system. When members choose to sign-up and pay with credit card, they complete the sign-up process within your Farmigo sign-up link. The benefit to remaining within the Farmigo sign-up links is that when members complete the signup process, they are directed back to their accounts. 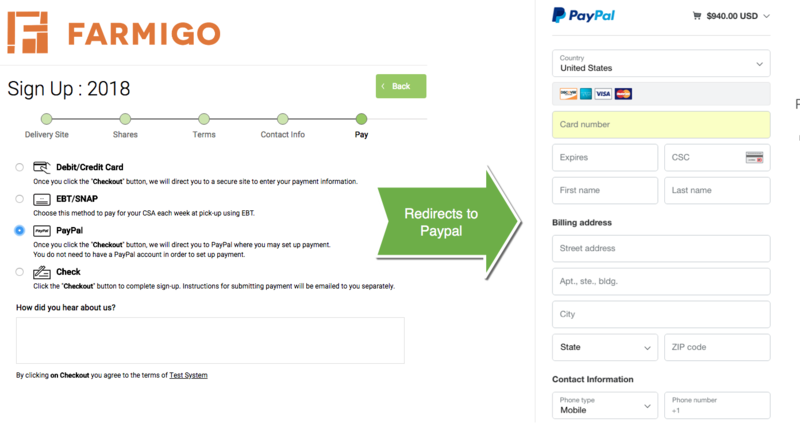 When a customer chooses to pay with Paypal, they are redirected to Paypal.com to complete the sign-up process. If they hit the back button, they will be required to restart the sign-up process. Additionally, we have gotten feedback from customers that Paypal causes confusion as there are extra steps for creating a PayPal account.